YOUR OWN PRIVATE OASIS! GORGEOUS 3 Bedroom with 4th Bedroom/ Den situated on a PRIVATE, OVER-SIZED Lot w/ SCREENED in PORCH, outdoor FIRE-PIT (2018), IN-GROUND POOL WITH BIRDCAGE, 6 Ft. Privacy FENCE (2018), EXTRA DEEP Garage for STORAGE & a RV/ Boat Parking Pad. Talk about GREAT Curb Appeal, CHARM & CHARACTER! COMPLETELY Updated Interior! Gourmet KITCHEN with STAINLESS STEEL Appliances, GRANITE COUNTER-TOPS & Kitchen ISLAND overlooking Family Room. INVITING Great Room w/ Wood burning FIREPLACE. Master Suite with private UPDATED Bath. Spare bathroom has DOUBLE VANITY, NEWER Flooring throughout & Inside Laundry Room! A/C w/ Transferable Warranty (2018), DUCT-WORK THROUGHOUT (2018), HURRICANE WINDOWS & NEW SPRINKLER SYSTEM (2018) going to WELL. NO FLOOD INSURANCE REQUIRED! 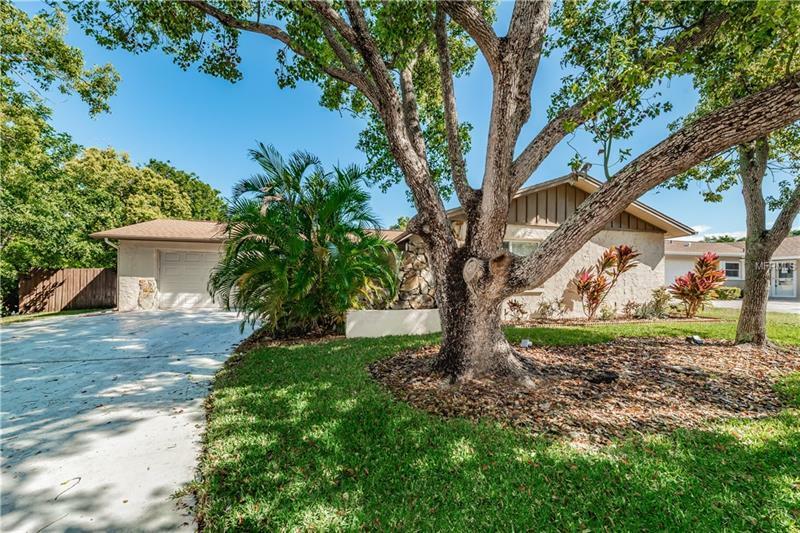 Just STEPS to 35+ Mile Pinellas Trail! Great location for shopping, BEACH, & Parks! DEFINITELY A RARE FIND! Won’t last! Pride of Ownership shows throughout! Don’t forget to check out the Virtual Tour!